The 16-foot-diameter yurt at Craig Lake State Park sleeps four people and is equipped with bunk beds, mattresses, a wood stove, axe, bow saw, and cooking and eating utensils. Running water and electricity are not provided, but an outhouse is located nearby. Photo Howard Meyerson. The camping season still is some months away — unless you’re a die-hard, that is, or plan to spend a week in the Everglades. But if you are thinking to camp in Michigan this spring, be aware that state park camping fees are going up. State officials said the increase is needed to offset rising costs to operate and maintain the nearly 100-year-old state park system. The increases fall into three tiers: $4, $2 and $1 more per night, depending on the popularity of the park and how crowded it is in July during the prime camping season. As might be expected, the most popular sites go up the most. Camping at Silver Lake, Holland, Grand Haven and Petoskey state parks will go up $4 per night, to name a few. A full hookup site at Holland State Park now will cost $37 per night, while a 50-amp site is $33 per night, and a 20/30-amp site is $31 per night. Moderately popular destinations, such as Sterling State Park in Monroe or Port Crescent in Port Austin, went up $2 per night. A full hookup at Port Crescent now is $31 per night from mid-April to mid-November, and $20 per night the rest of the year. Lesser-used parks, such as Fisherman’s Island in Charlevoix, Pontiac Lake in Waterford and Craig Lake in the Upper Peninsula, went up $1 per night. Camping along Lake Michigan at Fisherman’s Island State Park remains a sweet deal at $13 per night. Fees for rustic cabins, yurt and lodge rentals also increased by 8 percent a night. 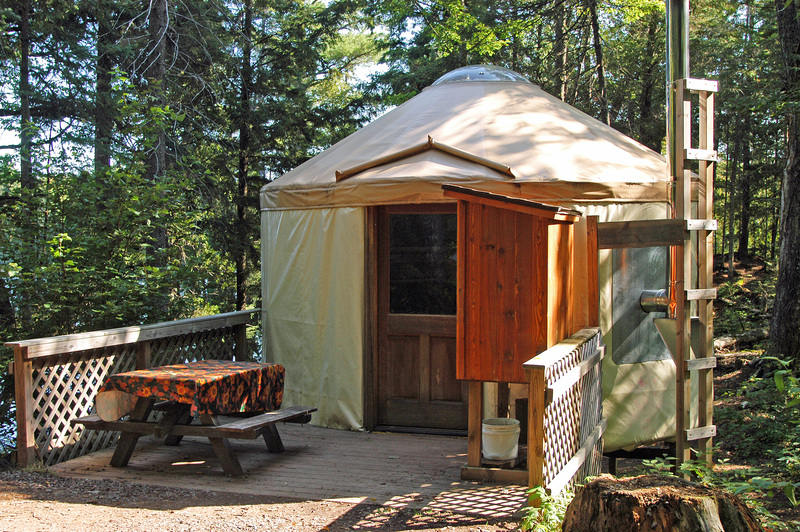 A night in a yurt at Craig Lake State Park went up $5 to $65. The entire list of state park fees can be found online here on the DNR website. Michigan’s state park system has a $300 million maintenance backlog of projects that need to be completed, Fleming said. The fee increases could generate $2.6 million in new revenue, but $1.7 million is more realistic, he said. State park officials anticipate some campers will balk at the increase, and attendance might decline. The increases were proposed in 2013 for the 2014 camping season, but they were postponed pending a review of that season. They have been endorsed by the DNR’s State Park Advisory Committee, as well as the state’s Natural Resources Commission. Park officials explained fuel and transportation costs have risen. There are retirement benefits to pay and new parks such as Belle Isle, Rockport, Piers Gorge and Lime Island, among others, have been added. The cost of doing business has increased, but revenues have not kept pace. 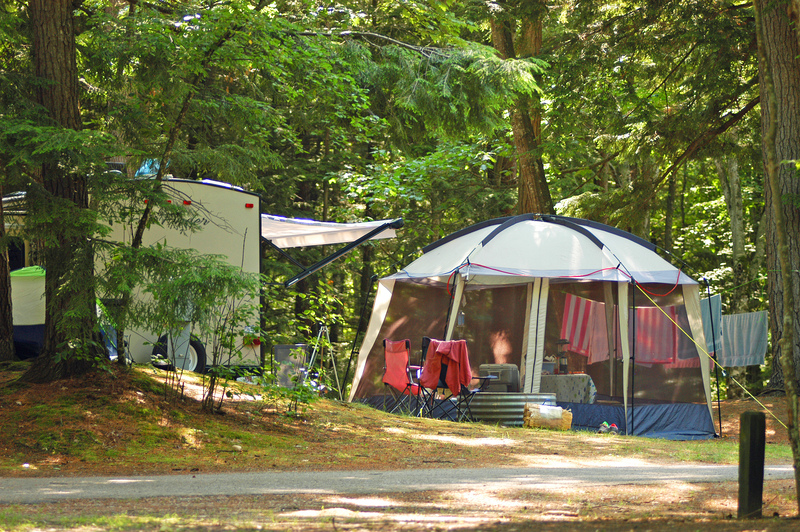 Camping fee revenues provide about 40 percent of the state park budget, according to an October 2013 memo from DNR director Keith Creagh to the Natural Resources Commission. The state’s recreation passport also funds the parks. State park officials said those revenues exceeded budget projections in its first year (2010-11) but fell short in 2012 and 2013. It met budget projections in 2014, but only 28.5 percent of the state’s license plate buyers opted in to the program and purchased a passport. That was short of the desired 30 percent goal, Fleming said. “It is the high point so far. We did see a significant increase this past year,” he said. “But it is a park system that is almost 100 years old. There is a constant need to upgrade. People always groan when fees go up — myself included — but Michigan state parks continue to be less expensive than going to private campgrounds. A comparison developed for the Natural Resources Commission showed that state park modern campgrounds, cabins and lodges, along with full hookup sites and rustic cabins, all were less expensive than similar accommodations offered privately. State parks might not offer the pools or cable TV hookups, but they do put campers in the middle of the state’s finest natural settings. If you haven’t purchased a state passport yet, consider doing so in 2015. The $11 fee, paid when you renew your license plate or when you purchase one at a park, provides access to more than 100 state parks, 70 boat launches and 130 or more state forest campgrounds. In short, it’s a real deal. Column appears in MLive Media Group newspapers and on MLive Outdoors. This entry was posted in Uncategorized and tagged Adventure Travel, Backpacking, Camping, Canoeing, Craig Lake State Park, DNR, Michigan, Michigan Department of Natural Resources, Nature, State Parks, Upper Peninsula, Yurts. Bookmark the permalink.